I think I may have come across the true cause of the blank screen problem with my Dell XPS M1210 laptop. I was *this* close to wiping the whole HDD and starting from scratch, but I just kept putting it off. After a while of using my laptop every day or so, I noticed two things: 1. the screen was not going black at the Windows login as often anymore, and 2. I noticed myself developing a superstitious habit regarding the wireless mouse (a Microsoft Wireless Notebook Optical Mouse 3000). Now, superstitions often arise in human behavior when the mind subconsciously creates a cause-and-effect link between two normally unrelated things. Sometimes this link is wrong, but sometimes it is right. Some scientists speculate that this special kind of adaptation to non-obvious dangers may even be evolutionarily advantageous. Anyway, knowing that I had suddenly developed a mild superstition, and knowing that this could mean my brain had discovered a link that I was not yet consciously aware of, I began paying more attention to what I was doing when I was getting the blank screen on my laptop. After a while, I noticed that the screen black-outs almost always occurred when I plugged the mouse in before turning the laptop on. This also reminded me of the fact that this issue most often occurred after I had packed away my laptop and set it up again (meaning I was unplugging the mouse and plugging it back in). This morning I was having a lot of trouble with my mouse freezing up. The battery was getting low — not so low that it stopped working, but low enough that it would sometimes stop working, even though the infrared LED was still on. Sometimes control of the mouse would return (with some coercion), sometimes it wouldn’t. What I think has been happening is that the mouse may have been flaking out at a certain point during the bootup sequence, causing the laptop display drivers to screw up and put the screen in “sleep mode”, turning it black. So far today, with a fresh battery in the mouse, the problem has not returned. We’ll see if this lasts. Update: So far, the plugging-in-the-wireless-mouse-partway-into-the-bootup-process method has been working for me. It’s been a while since I’ve encountered the Black Screen of Dell. 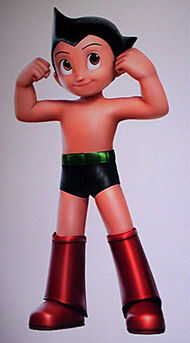 Apparently a CGI Astroboy movie has been in the works! Rumor has it the movie will come out October 2009. Here’s the IMBD link. The 1960s TV series has been remade twice, and both times it’s remained pretty faithful to the original. Let’s hope we will be able to say the same about the movie. Wrath of the Lich King in November! 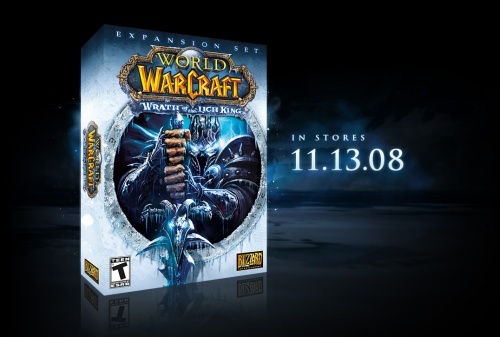 It’s official: the next expansion to World of Warcraft will be released on the thirteeth of November of this year. Woo! Whenever I have to completely wipe my C: drive clean, I normally want to back up all my data on it so I can quickly restore settings for various programs. This means copying the Documents and Settings folder, which often includes locked files. This presents a problem because the normal way of copying files via Windows Explorer is interrupted whenever a file that cannot be copied is encountered. And when you’re copying tens of thousands of files at one time, you don’t want to have the process get cancelled half an hour in. While backing up my laptop hard drive — thanks to what is probably some mysterious driver incompatibility which causes the laptop to boot up to a blank screen — I decided to look around for a solution to this problem. I wanted something that would either copy locked files, or just ignore them , since any file that is locked is likely not one I need to bother backing up anyway. This morning I had a problem with my Dell XPS M1210 laptop. When I opened it up and turned it on, the screen went blank at the Windows login screen. As far as I could tell, the laptop was still running properly, but the screen was just blank. When I closed the lid (which puts the laptop into “stand by” mode) and opened it again, the login screen would flicker on briefly before the laptop screen was once again plunged into darkness. This is apparently a very common problem with this model, as I learned from the subsequent google searches on the issue. However, a couple of clues led me to what I think is a fix for the problem. The first clue was that the laptop was not actually frozen; just that it was not displaying anything on the screen. This told me that the computer was not locking up due to a hardware fault or something serious. The second thing I noticed was that when the screen did appear briefly (on startup and whenever I closed and re-opened the lid), it was running at the wrong resolution. The laptop switches to this lower resolution whenever I plug it into my TV and switch the video output from the screen to the TV. I suspected from this that the video output was quickly switching to a device which I didn’t have attached, resulting in the blank screen I was seeing. However, using the CRT/LCD switch function on the keyboard did not fix the problem. Something else was stuck. On a hunch, I put the laptop into “hibernate” mode via the keyboard. The screen immediately turned back on, displaying the Windows hibernation screen. I let the process continue until the laptop turned off, then I started the machine up again via the power button. After returning from hibernation, the laptop screen stayed on and I was able to login and see my desktop. However, it was still running at the wrong resolution. I changed the resolution back to what it should have been — 1280×800 — crossed my fingers, and restarted the machine. Success! Everything was back to normal. After turning on your laptop, wait a minute until your desktop finishes loading after blindly logging in. You may be able to verify that the OS is at the desktop by closing the lid, waiting until the system goes into stand-by mode, then opening it again and watching for the screen to briefly flicker on and back off. Put the system into hibernation mode by holding down the Fn key and pressing F1. After the computer has finished going into hibernation mode and has shutdown completely, press the power button to turn the machine back on. At this point, if you’re lucky, the screen should not go blank during boot up. If it does, you may have to try something else. If the screen does not go blank, then continue on. Right-click on the desktop and select Properties from the pop-up menu. In the Display Properties window that appears, click on the Settings tab. Move the slider in the Screen Resolution box so that it reads 1280 by 800 pixels. If it is already there, then don’t do anything. Click to Ok button to apply your changes and close the Display Properties window. Click the Start button on the desktop, select Shut Down from the Start menu that appears, and tell the computer to restart. If everything goes well, the screen should no longer go blank on bootup! In the days leading up to this problem, I noticed my laptop’s screen flickering a little after it started up. I don’t know if this was an indicator that something was going to soon go wrong or not. The day before this happened, I was alt-tabbing a lot between the desktop and a fullscreen DirectX game (World of Warcraft) running at the same resolution as the desktop. Maybe this had something to do with it, I don’t know. UPDATE: The problem came back the next day but the above instructions did not fix the problem this time. :-( Repeated attempts at the above instructions eventually solved the problem again. Someone broke into my shed again the other day. They completely wrecked the latch. Nothing was stolen, though, since I don’t keep anything of value in there. Please stop damaging my shed, you picaroons!